Explanation: Albert Einstein's general theory of relativity, published 100 years ago this month, predicted the phenomenon of gravitational lensing. And that's what gives these distant galaxies such a whimsical appearance, seen through the looking glass of X-ray and optical image data from the Chandra and Hubble space telescopes. 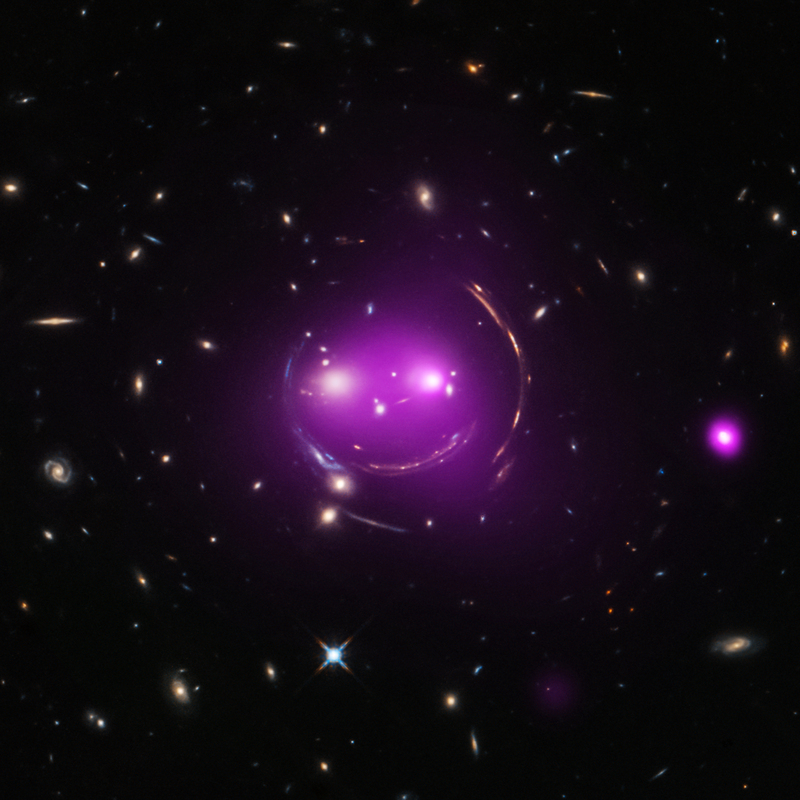 Nicknamed the Cheshire Cat galaxy group, the group's two large elliptical galaxies are suggestively framed by arcs. The arcs are optical images of distant background galaxies lensed by the foreground group's total distribution of gravitational mass dominated by dark matter. In fact the two large elliptical "eye" galaxies represent the brightest members of their own galaxy groups which are merging. Their relative collisional speed of nearly 1,350 kilometres/second heats gas to millions of degrees producing the X-ray glow shown in purple hues. Curiouser about galaxy group mergers? 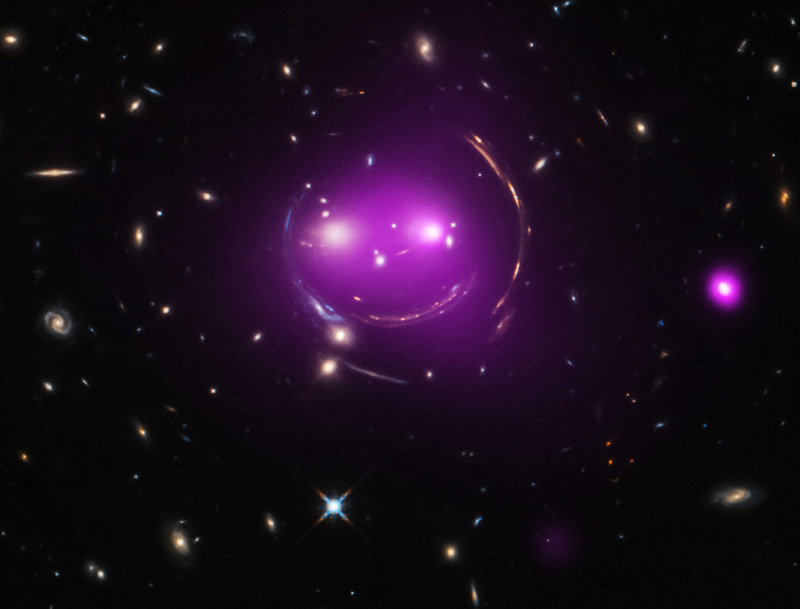 The Cheshire Cat group grins in the constellation Ursa Major, some 4.6 billion light-years away.